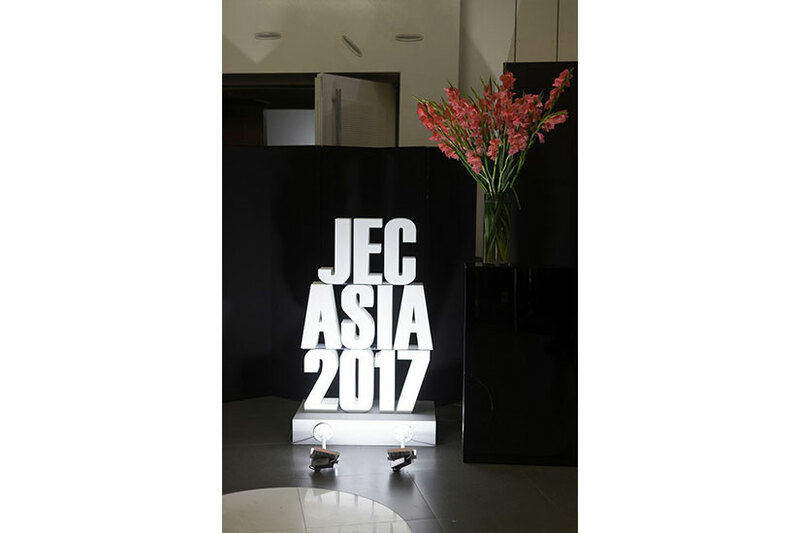 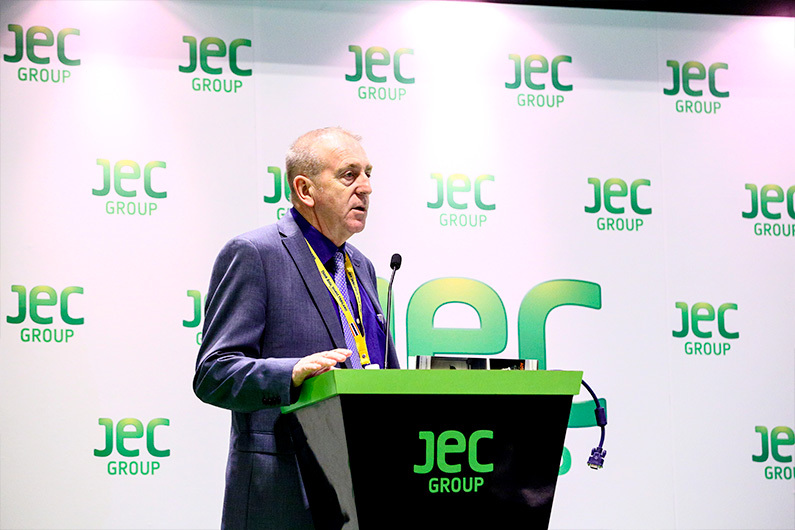 Thank you for another very successful JEC Asia 2017! 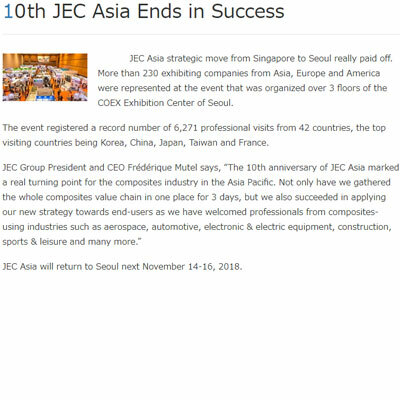 We look forward to seeing you again at JEC Asia 2018. 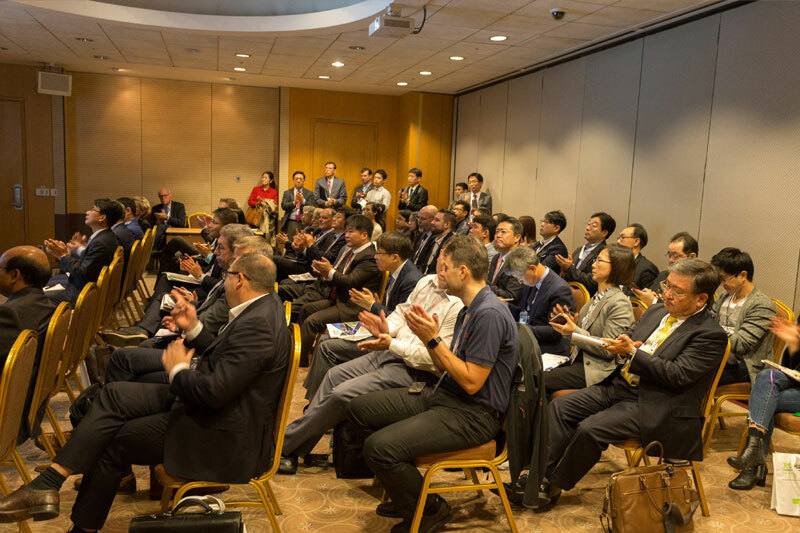 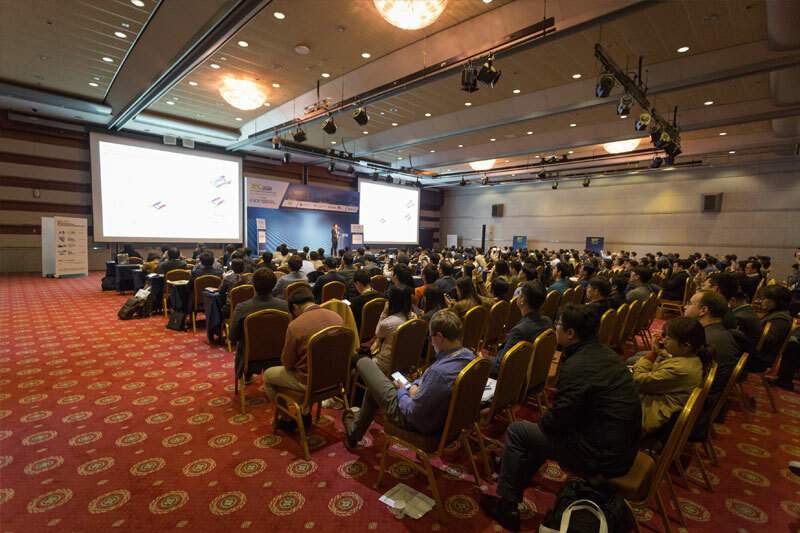 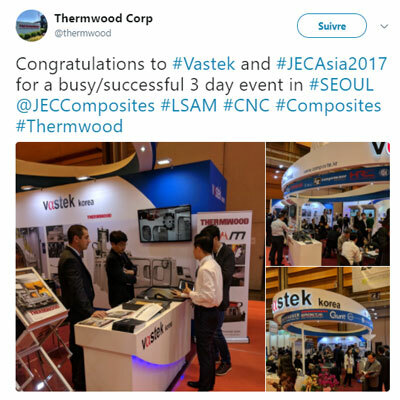 The first ever French industrial Event to take place in South Korea closed its door last November 3, 2017 after 3 days of intense business. 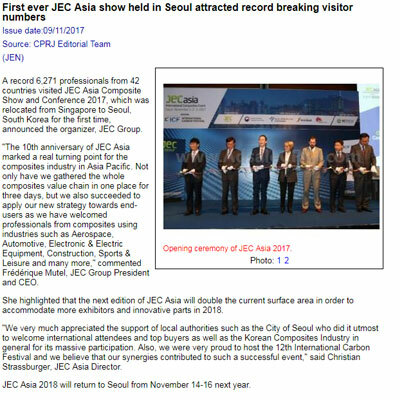 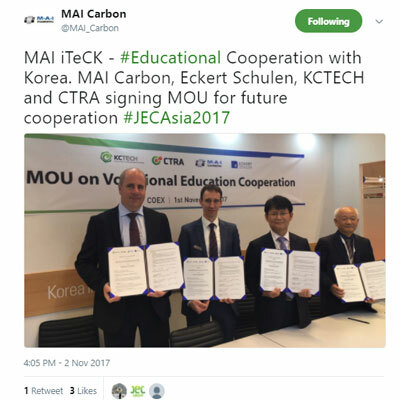 JEC Asia strategic move from Singapore to Seoul really paid off. 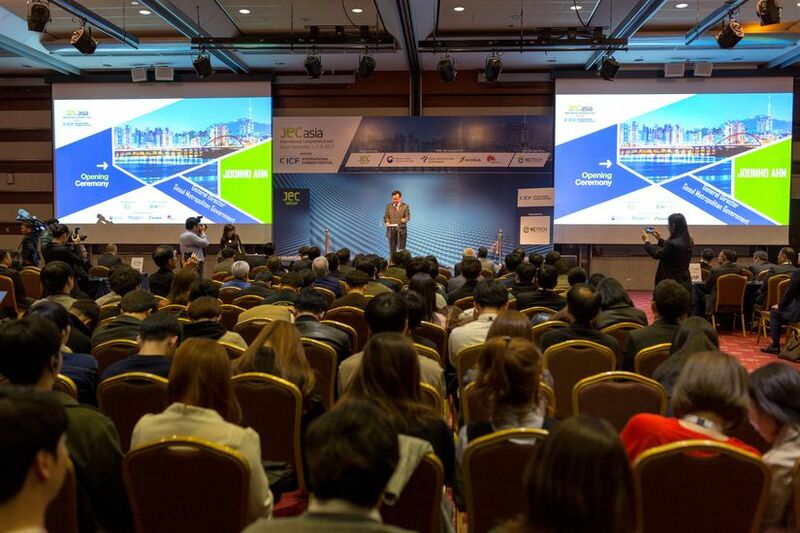 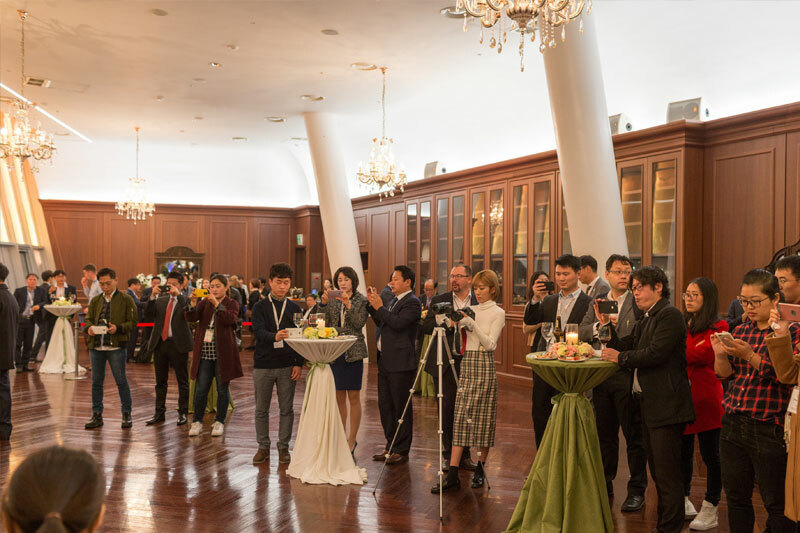 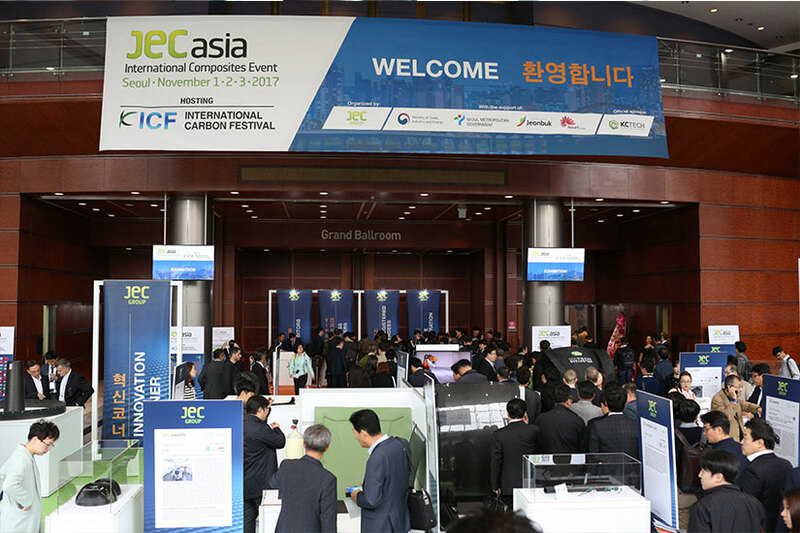 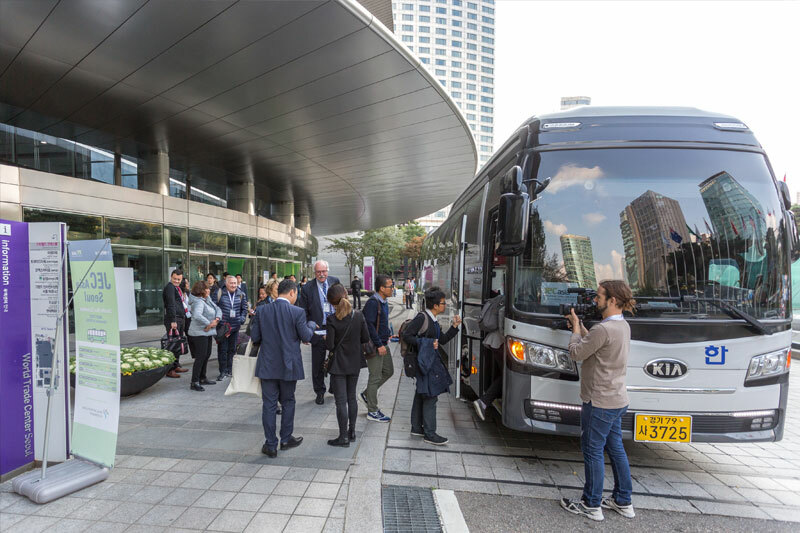 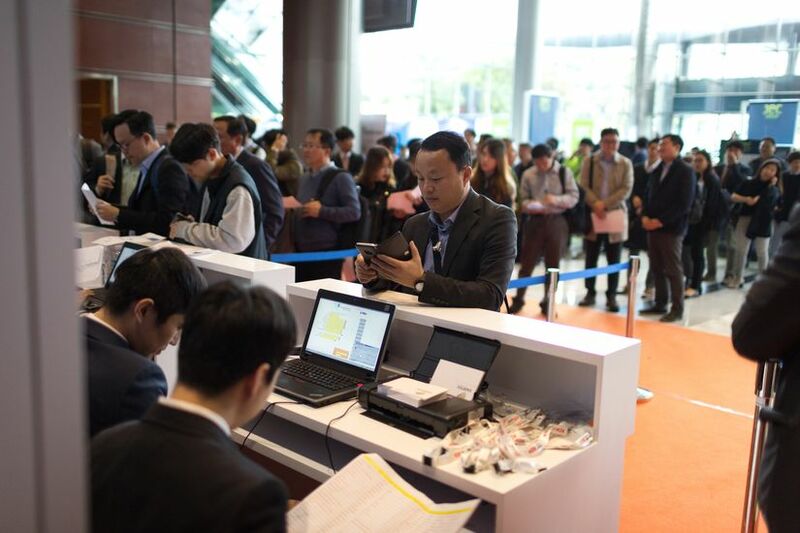 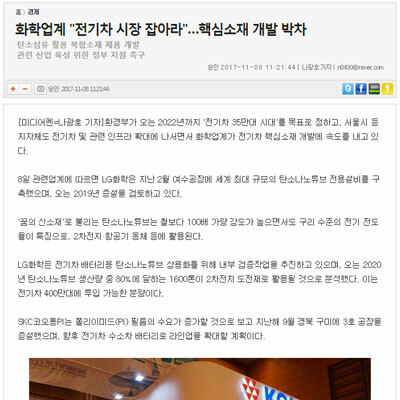 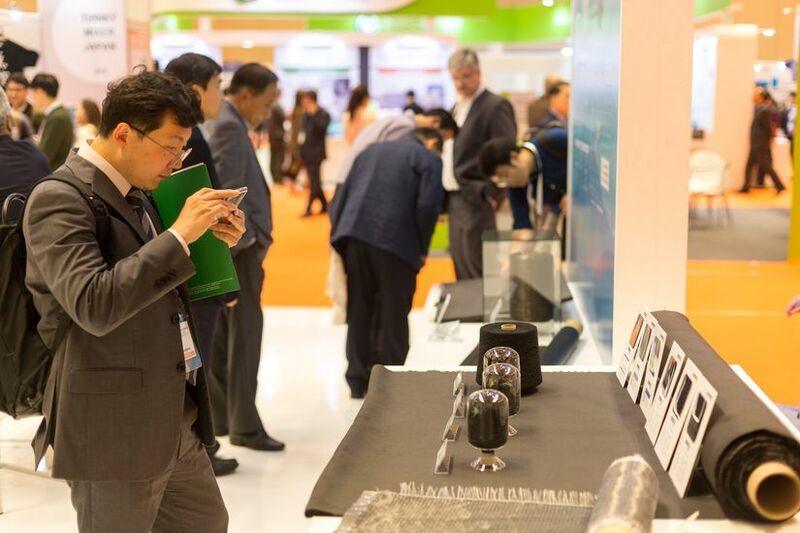 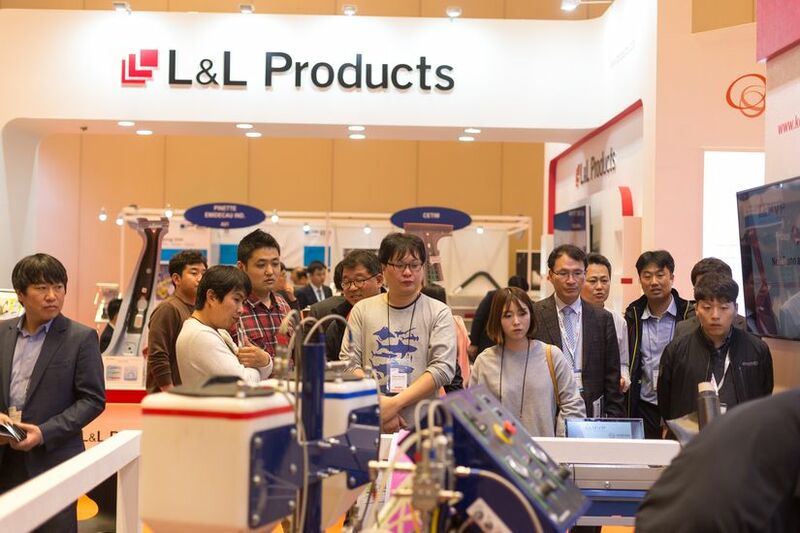 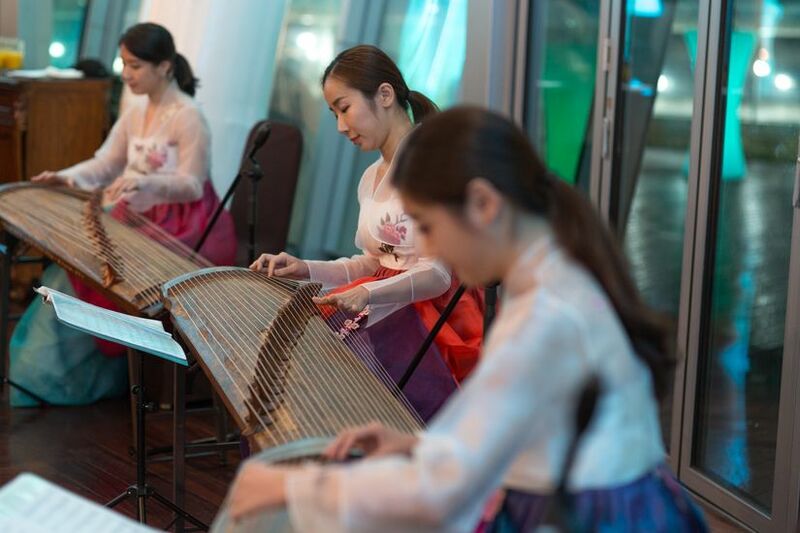 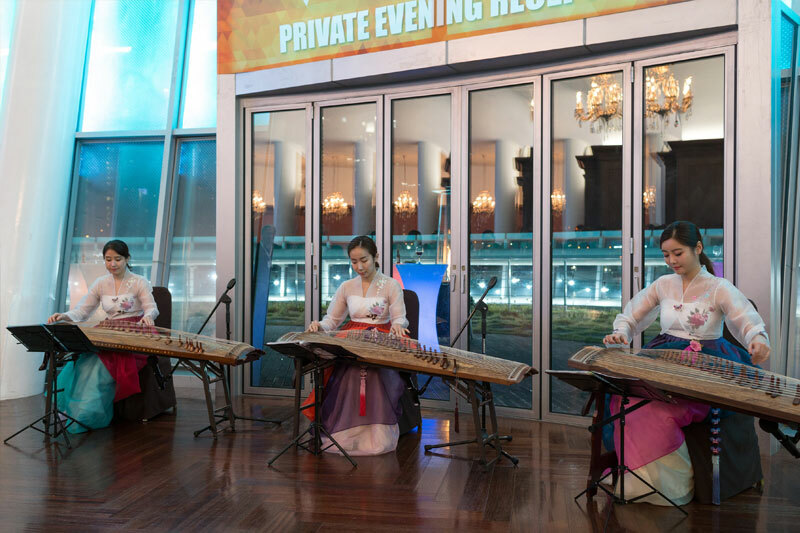 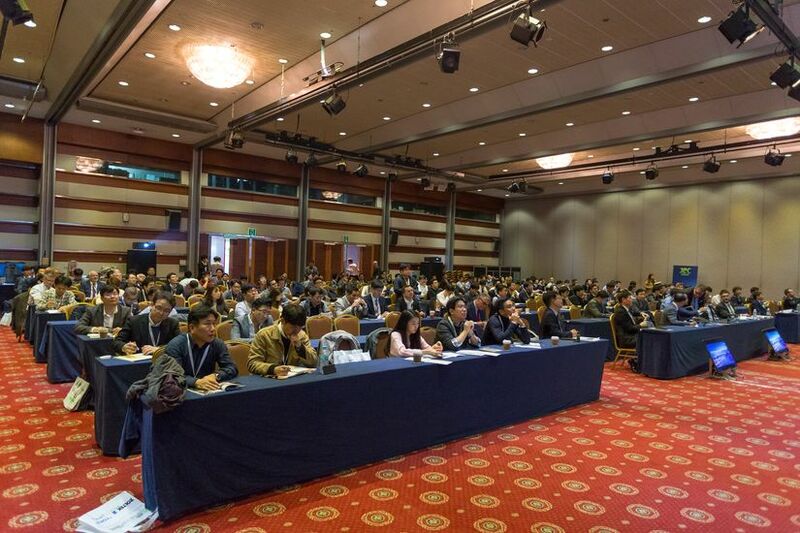 More than 230 exhibiting companies from Asia, Europe and America were represented on the event that was organized over 3 floors of the COEX Exhibition Center of Seoul. 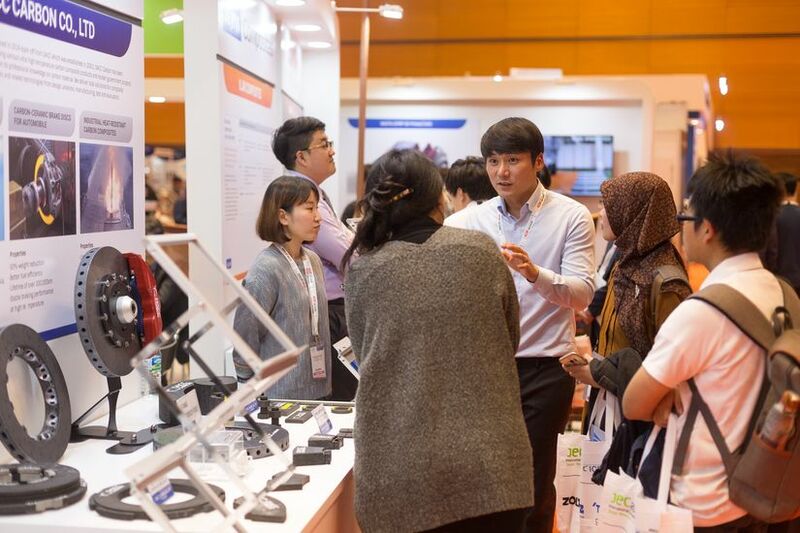 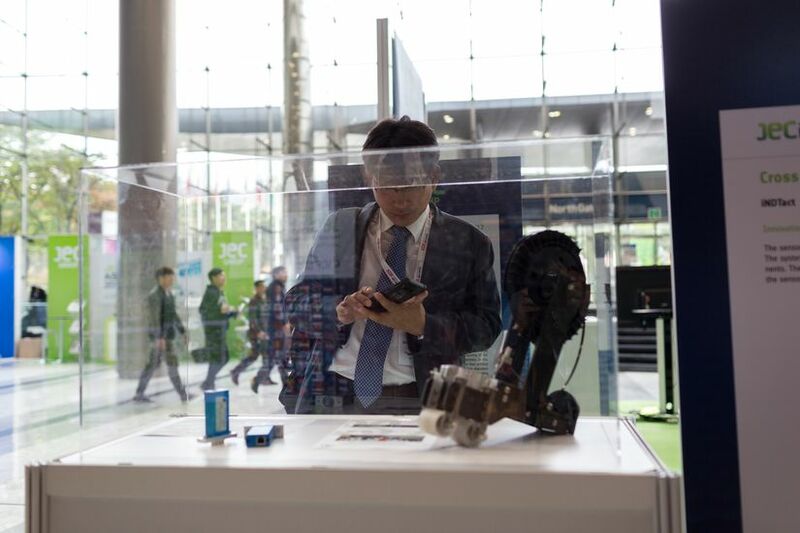 The event registered a record number of 6,271 professional visits from 42 countries, the top visiting countries being South Korea, China, Japan, Taiwan and France. 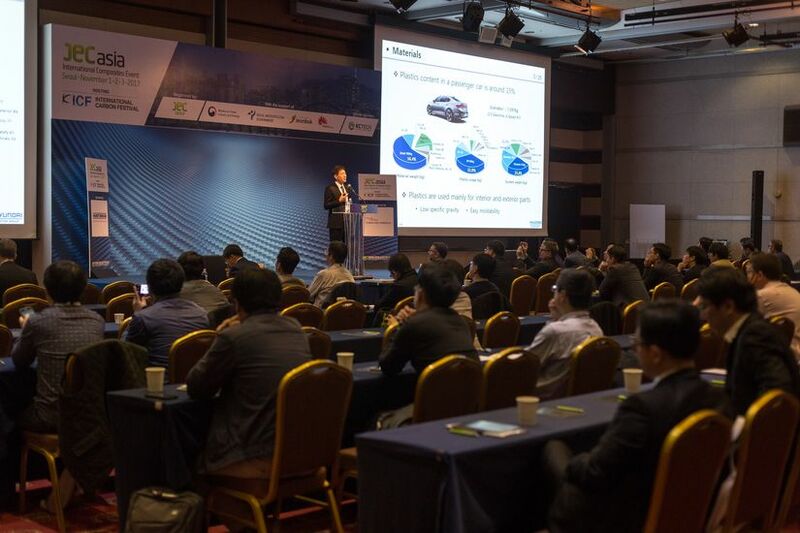 Byron Pipes highlighted Day 2 with his keynote address: “Manufacturing Innovation and the Future of Composites ». 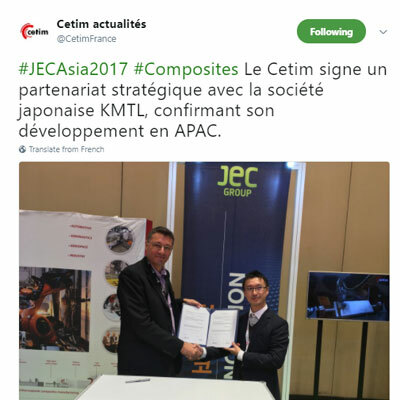 In addition, he went into great detail about IACMI, the Institute for Advanced Composites Manufacturing Innovation. 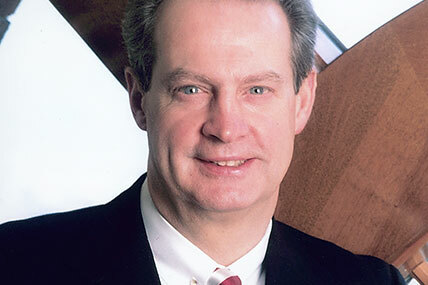 Byron Pipes is Director of Design and Simulation Technology Area at IACMI and the John Bray Distinguished Professor of Engineering at Purdue University. 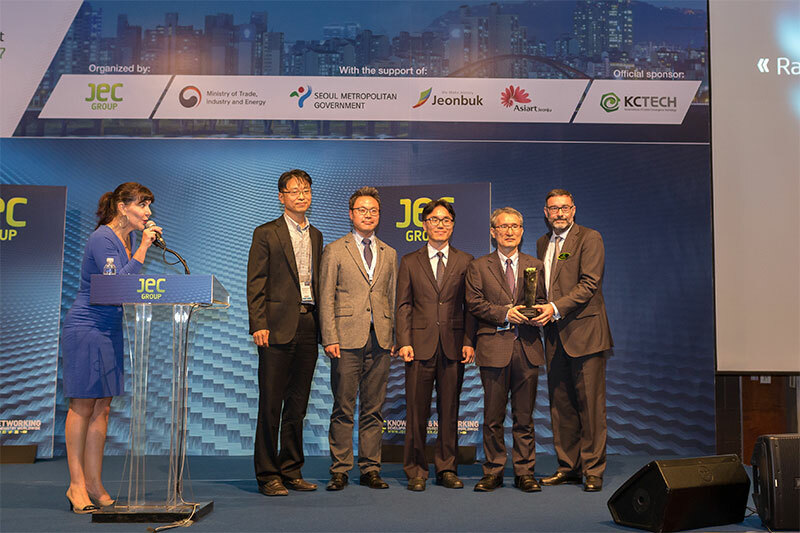 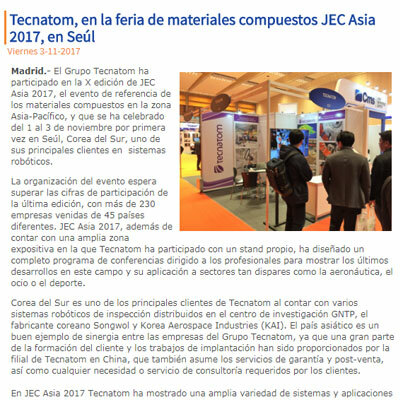 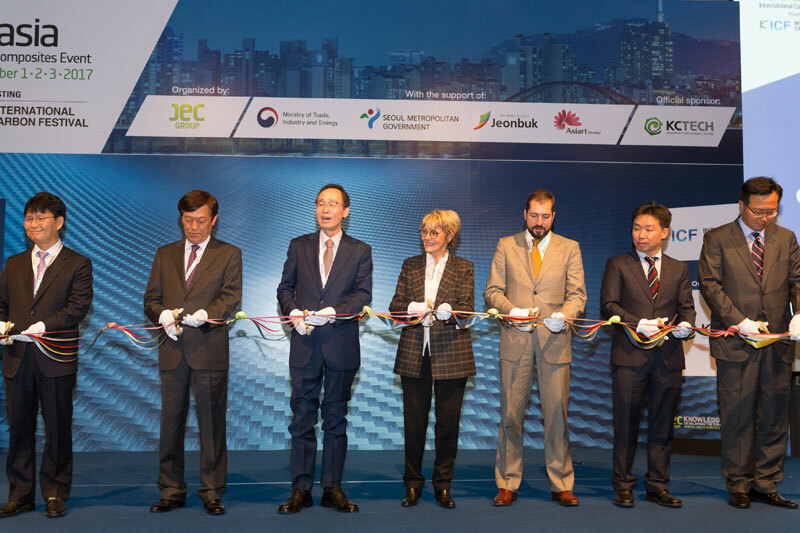 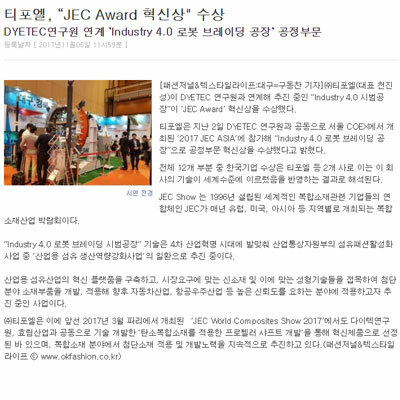 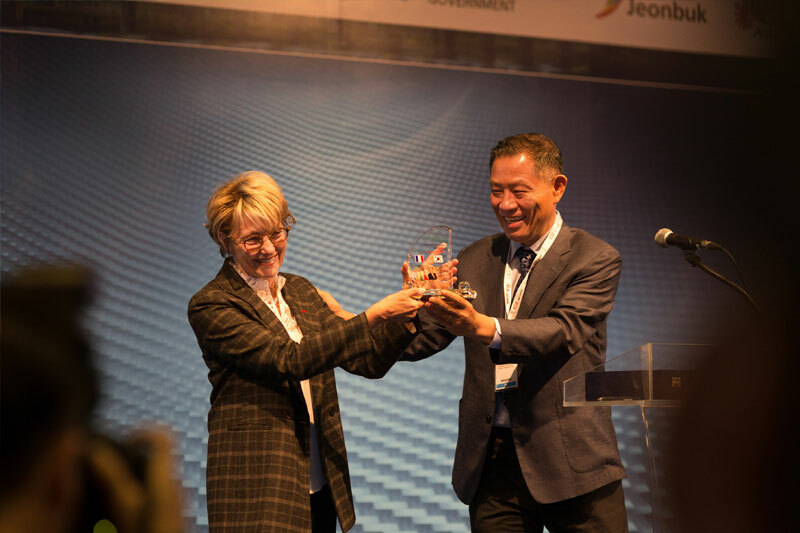 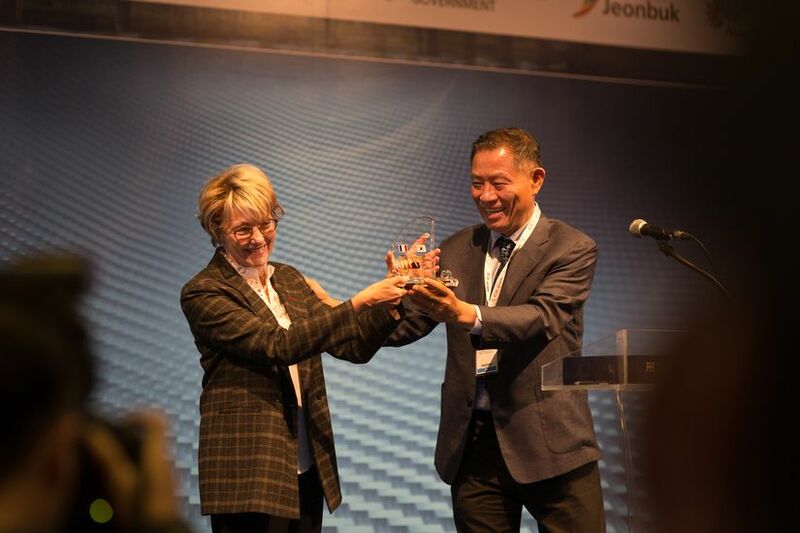 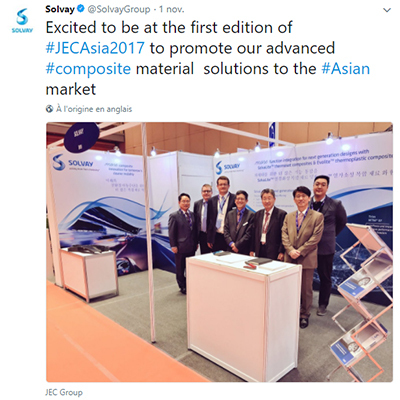 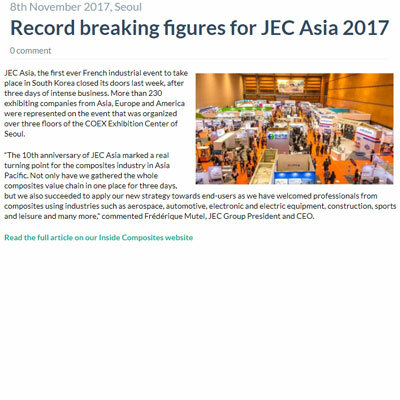 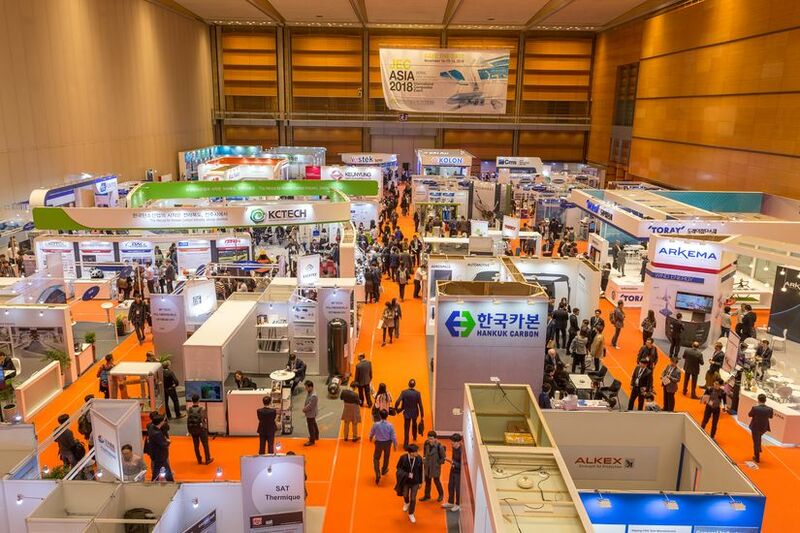 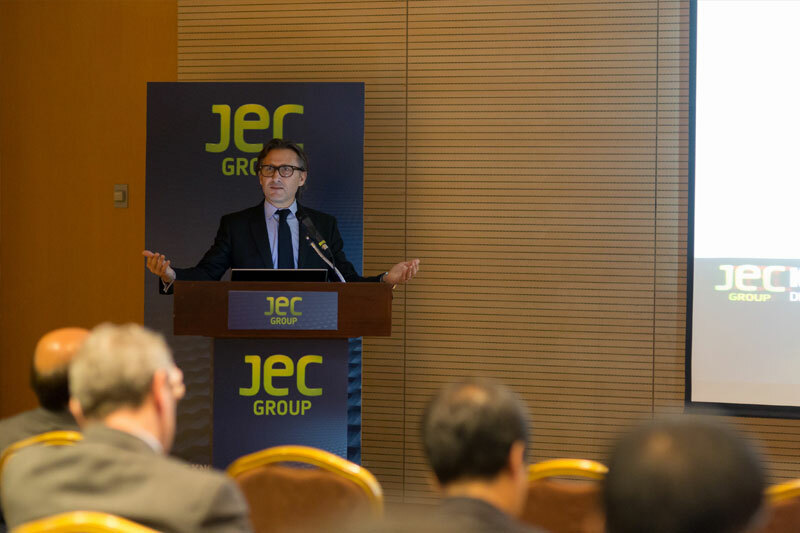 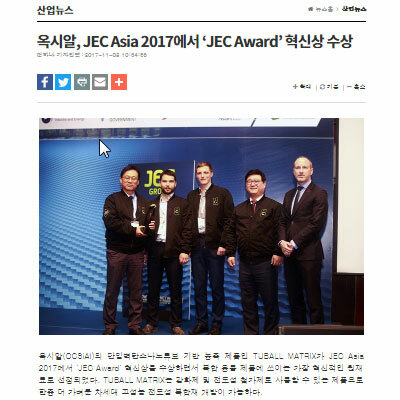 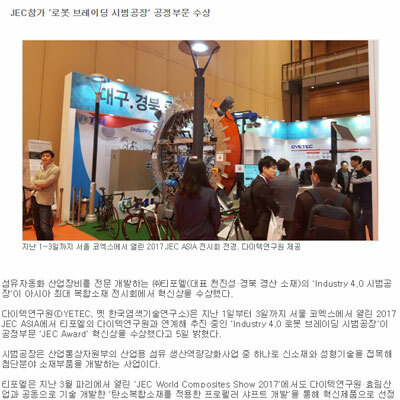 During the first JEC Asia International Composites event in Seoul, South Korea, 12 companies were rewarded in several major application sectors: Aeronautics, Automotive, Construction, Marine, Racing car, Railway, Transportation, Wind Energy and Sports & Leisure. 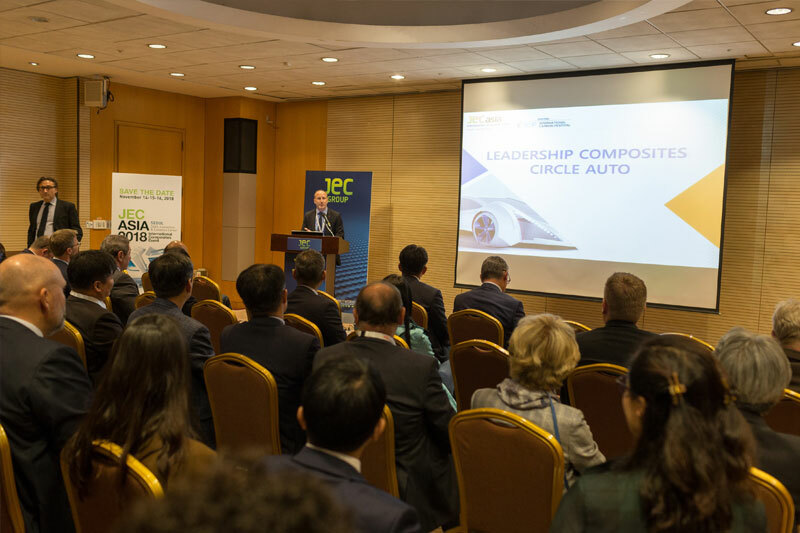 Like the rest of the world, the Asia-Pacific region is seeing major developments in carbon-SMC materials, lighter and safer cars and transportation systems, renewable energy, processes and raw materials. 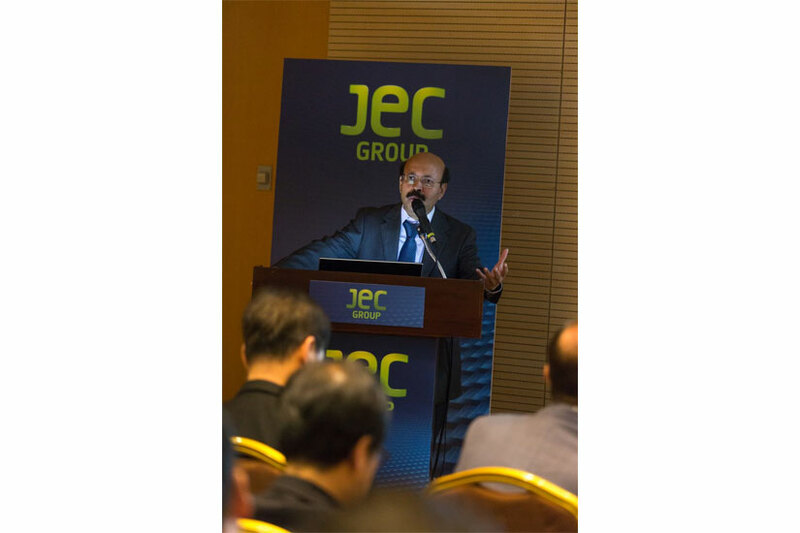 This could be seen through the numerous applications received in these topics. 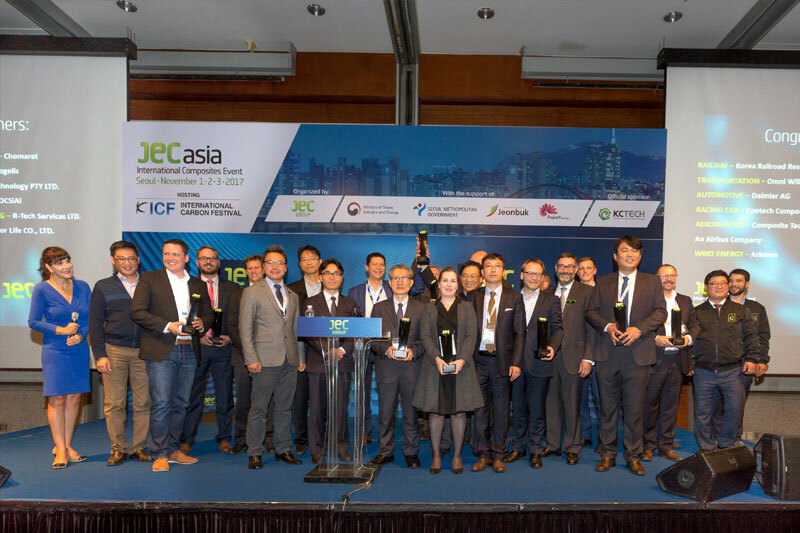 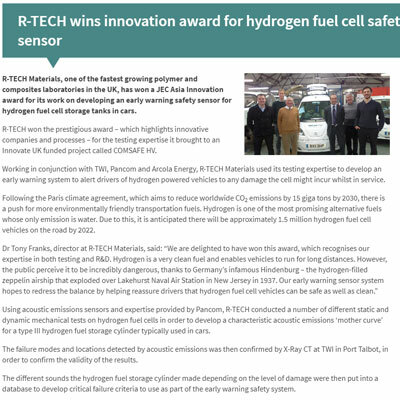 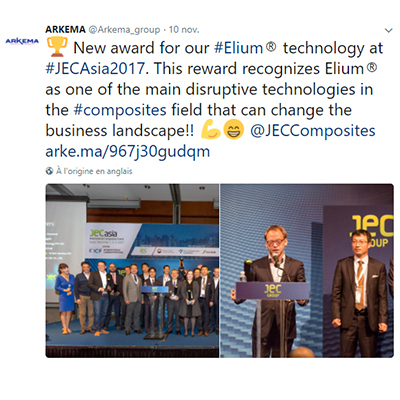 “JEC Group strategy towards composites end-users appears to be truly appropriate when we notice all these industries represented in this list of winners. 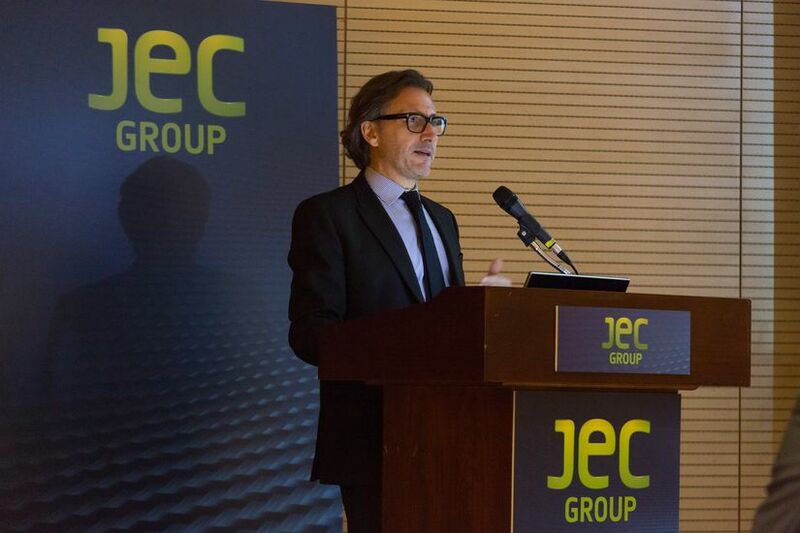 One can only notice that composites are now fully part of our everyday life and it is just the beginning.” Says Ms. Frédérique MUTEL, JEC Group President & CEO. 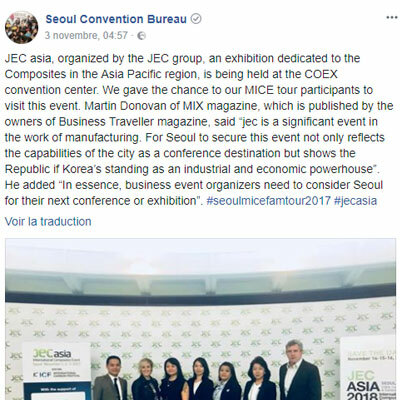 The ceremony took place on Thursday November 2nd, 2017 at the COEX Center of Seoul (South Korea) in the conference room of JEC Asia level 1 from 3:30 p.m. Ida DAUSSY (Seo Hye-na), a French-born South Korean broadcaster who has been awarded a presidential citation in 2005 by the South Korean Government, will host the ceremony in front of officials, industrialists, scientists and composites professionals. 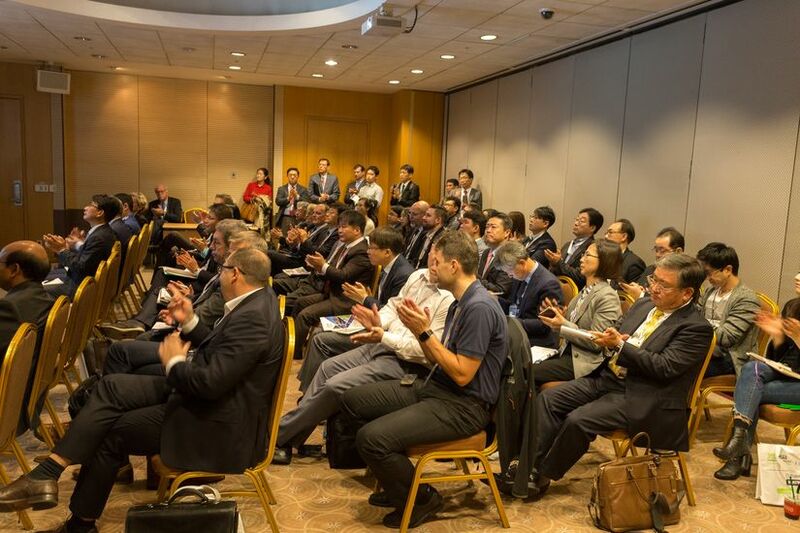 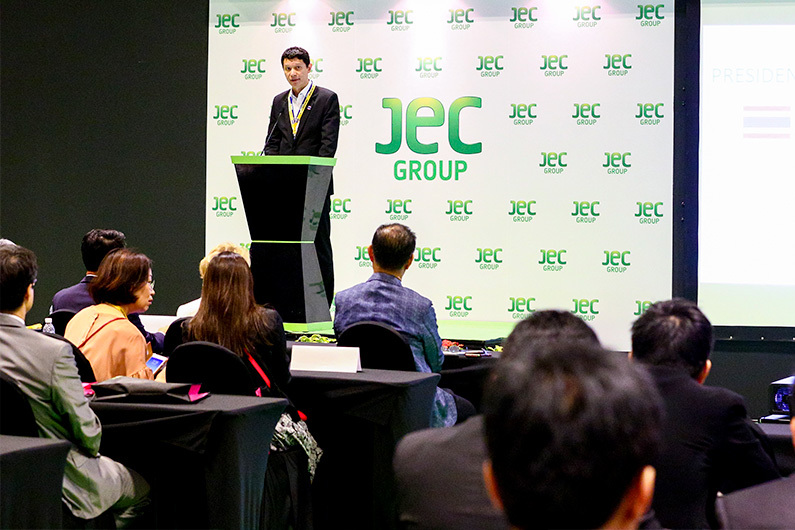 The first Aerospace Composites Circle (ACC), part of JEC’s Leadership Program, was held in Singapore during JEC Asia 2014. 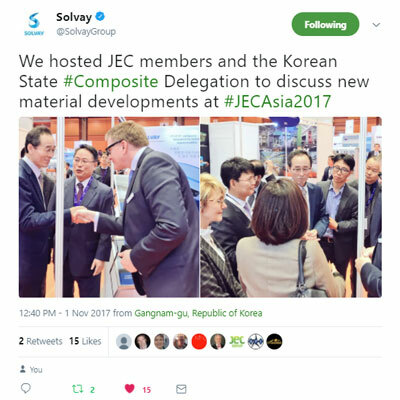 The meeting took place on Tuesday, November 18th 2014 and consisted of a breakfast talk with 25 top managers from companies involved with composites in the aerospace industry. 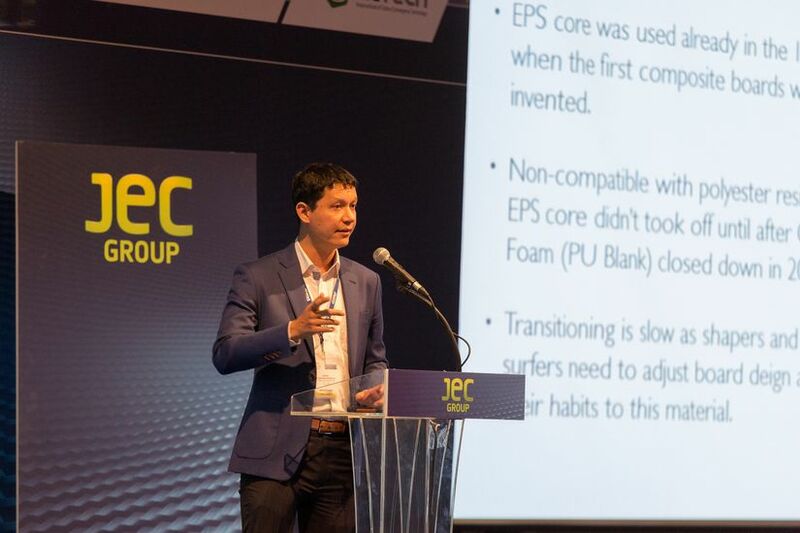 The keynote speaker, Mr. Cyrille Schwob who represents Airbus at Aerospace Malaysia Innovation Centre (AMIC) talked about “Innovative training for composite manufacturing” which drew a lot of attention from the audience as training and knowledge transfer is a key trend in Southeast Asia. 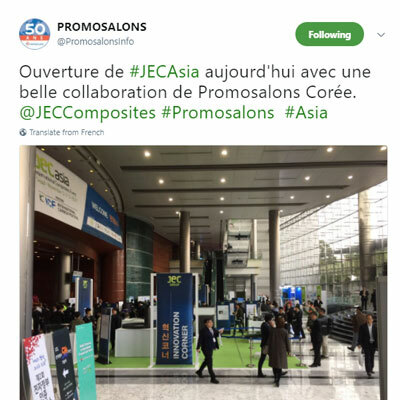 Following the presentations from JEC and AMIC, the group toured JEC Asia exhibition floor space to visit some companies with key solutions, namely: Composite Cluster Singapore represented by Dr. Florian Doetzer, Testia represented by Mr Alain Dupuis, DMG Mori represented by Florian Feucht, CIMAG International represented by Patrick Barzic. 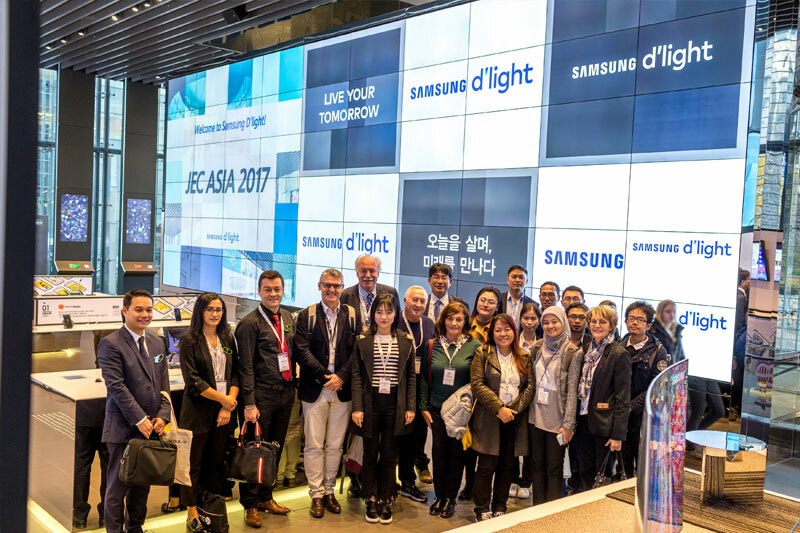 After the tour the group was invited for lunch and was granted access to the Aerospace conference which took place in the afternoon. 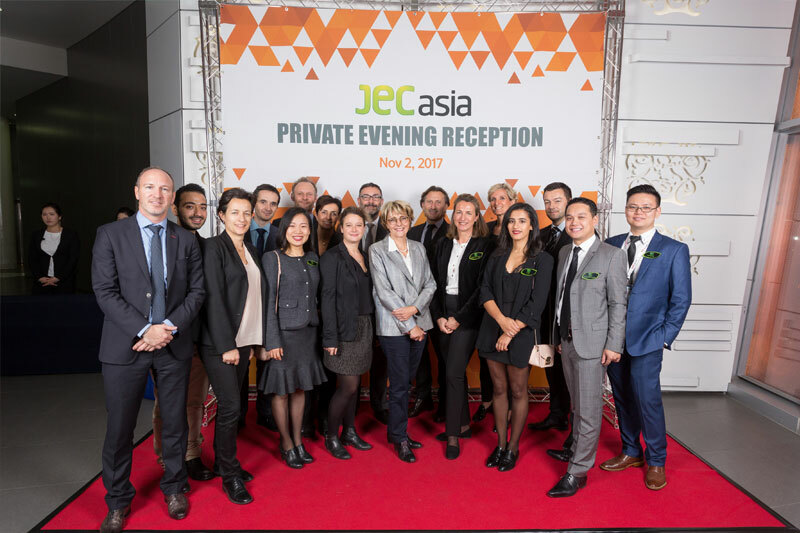 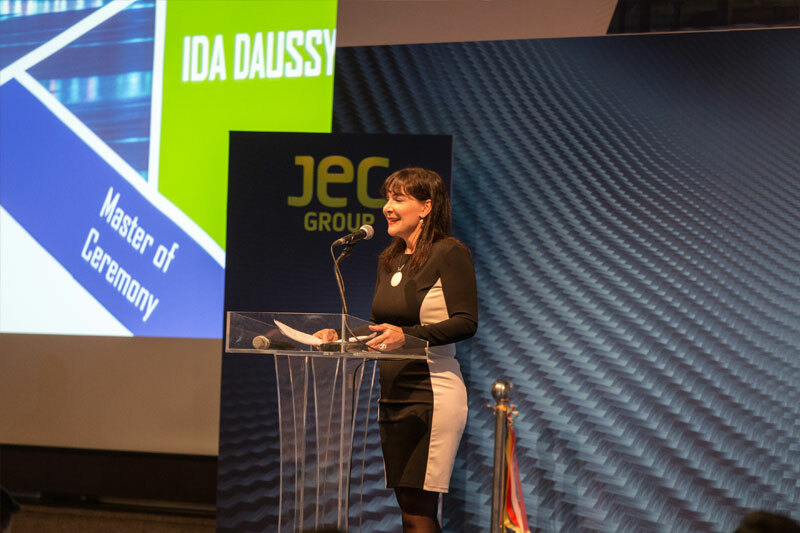 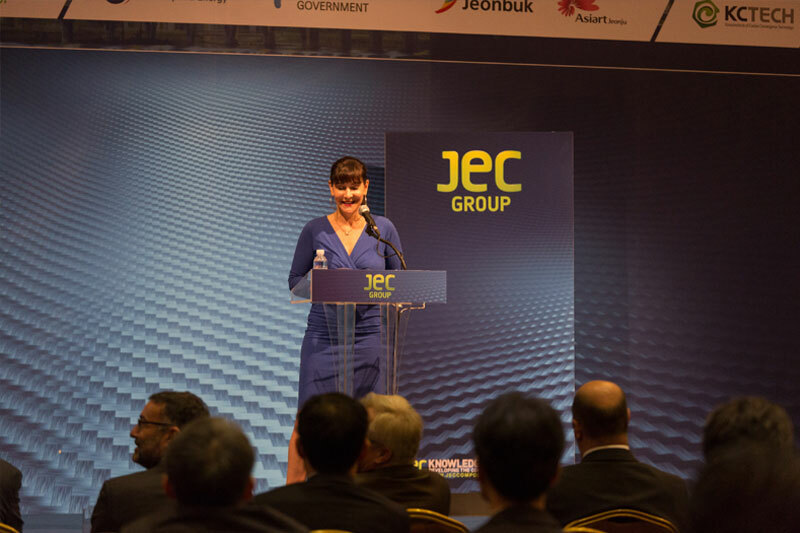 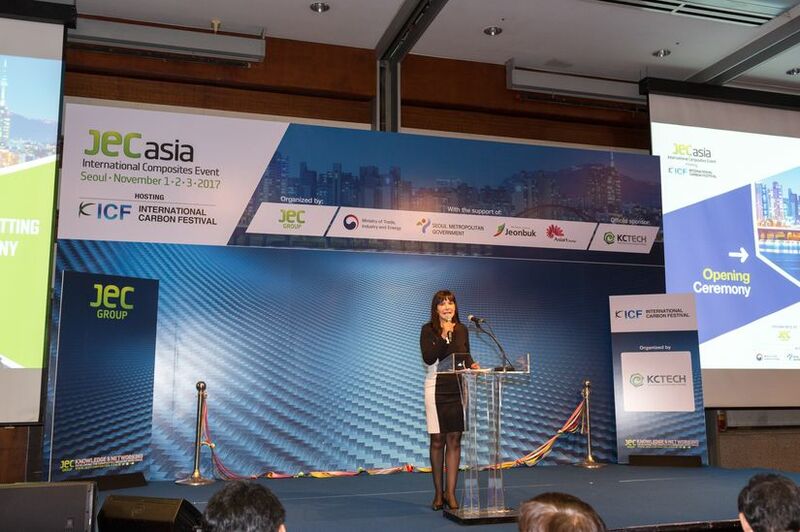 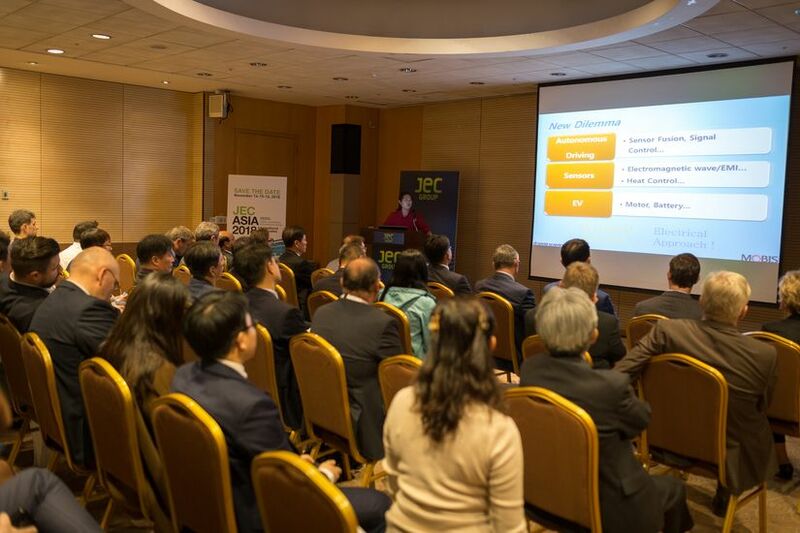 The official inauguration of the 10th JEC ASIA & the 12th ICF was presented by Ida Daussy. 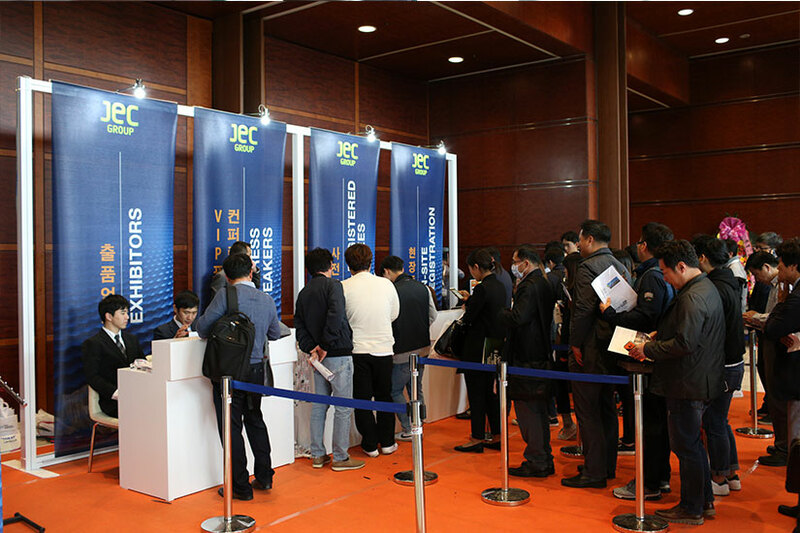 Officials, Press, VIPs, Exhibitors and attendees celebrated the kick off of the events for the 1st time in Seoul. 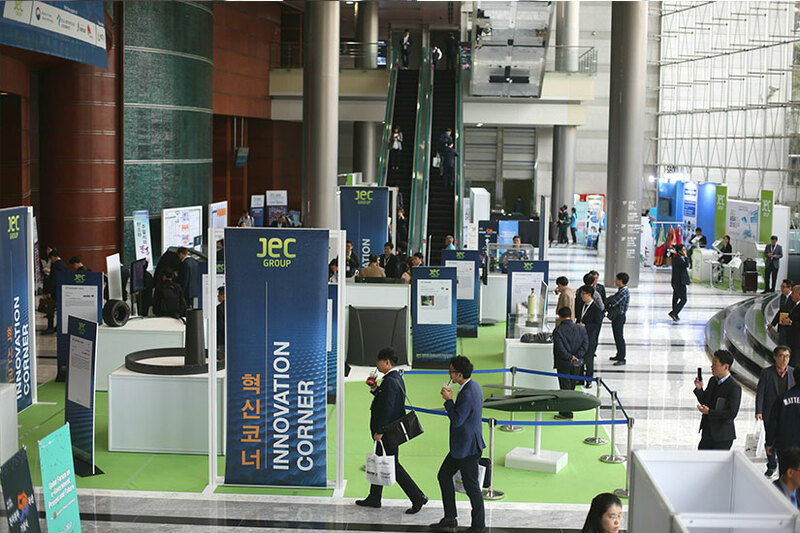 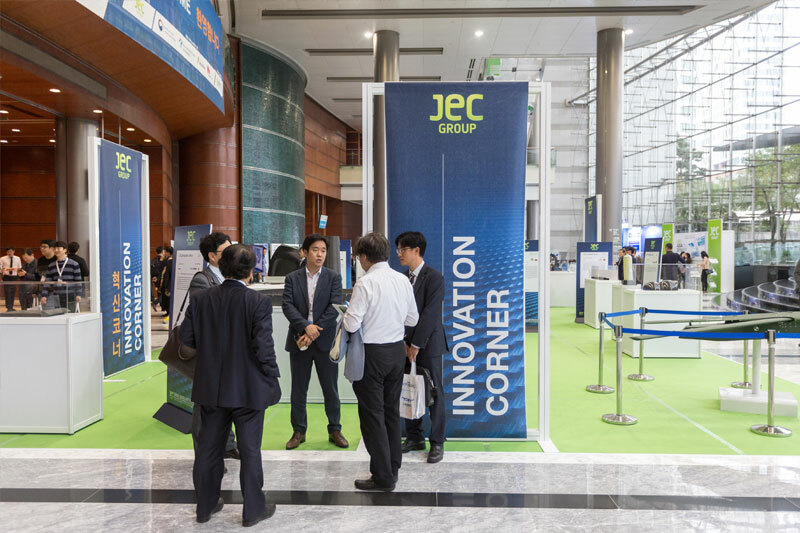 The JEC Asia Innovation Corner encourages companies that are involved in composite innovation and enhance their public exposure. 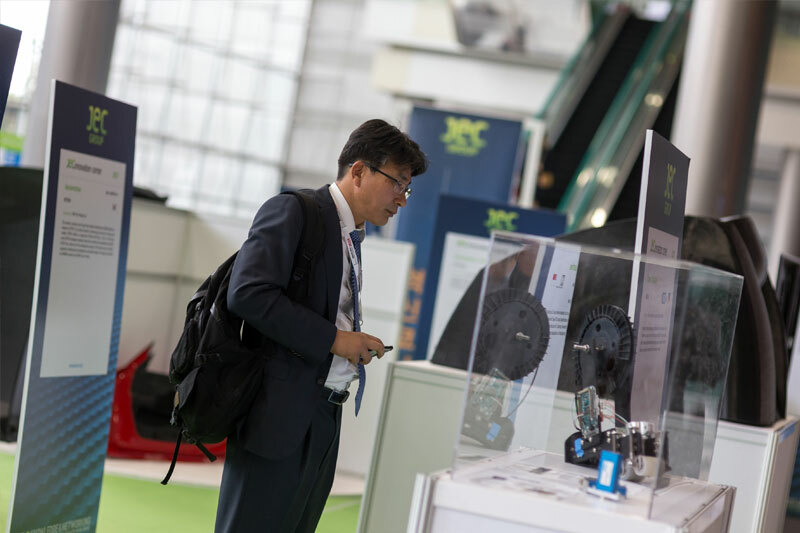 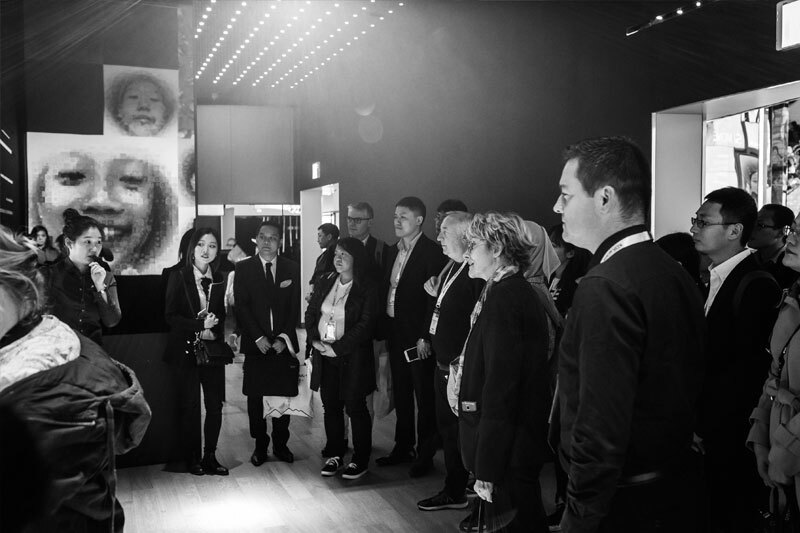 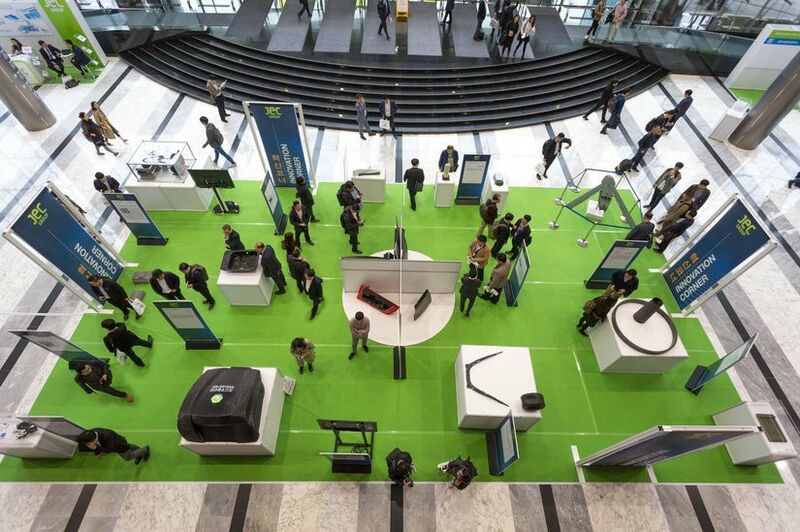 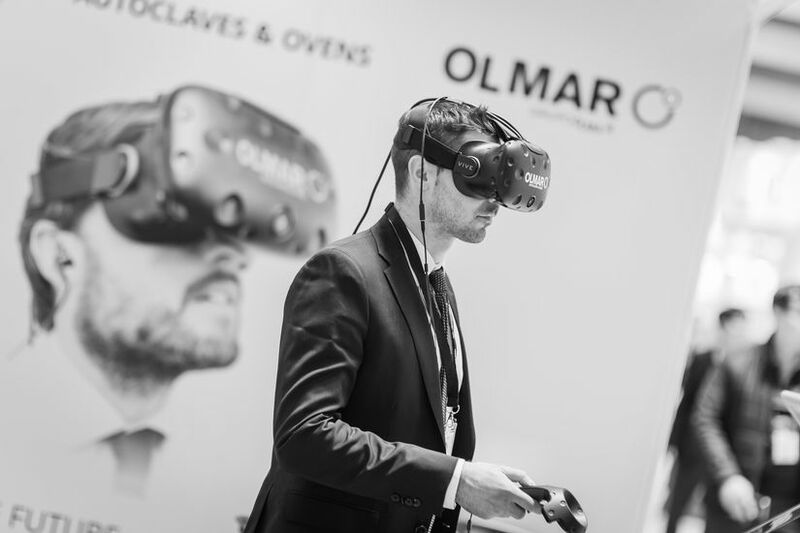 This new area was an opportunity to discover the latest innovative composite solutions in two areas at the heart of the event. 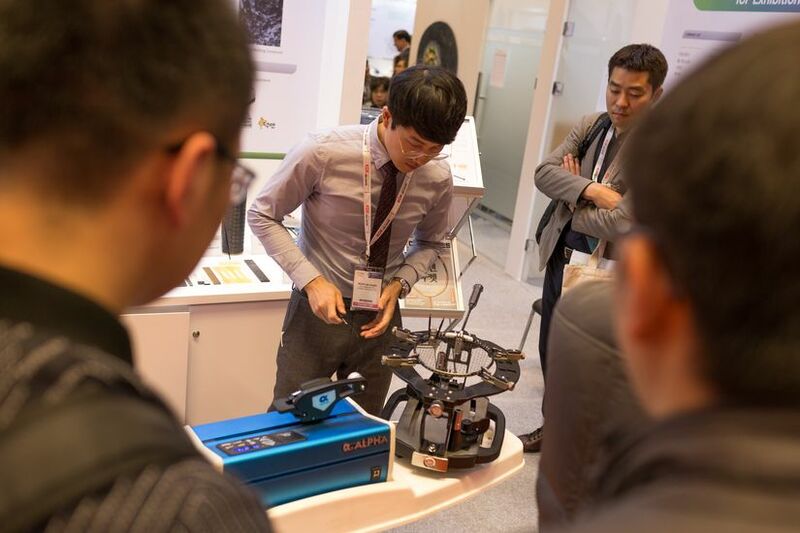 Reserved to conference delegates, speakers, VIP guests and exhibitors, these exclusive networking receptions offered the perfect opportunity for them to meet with composite professionals and make new business connections in an informal and relaxed environment. 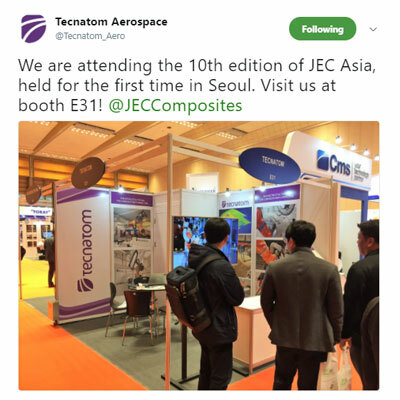 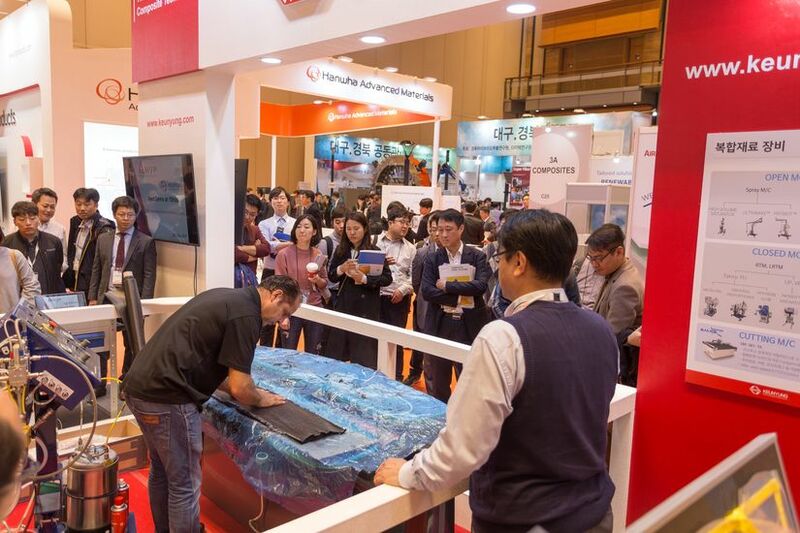 JEC Asia offered 2 composites tours to its attendees. 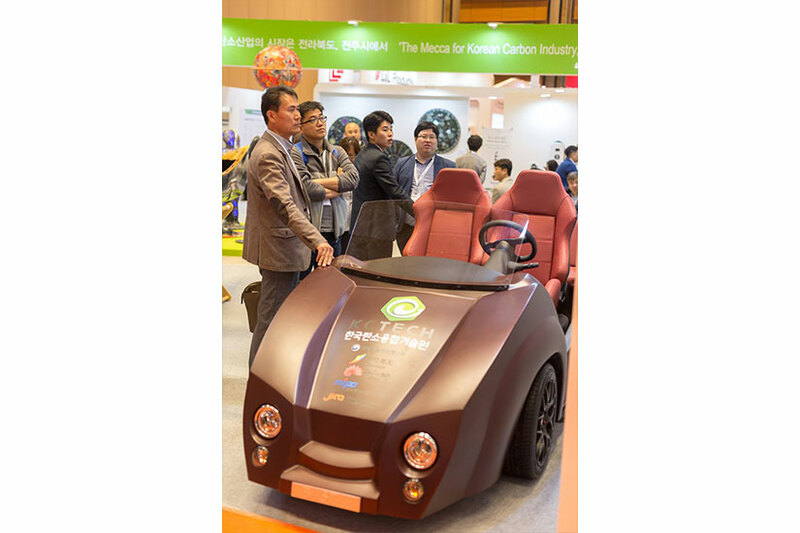 The first one at The Korean Carbon Valley and the second one at Samsung D’Light.